What does we do in the summertime when there is no snow and ice? Of course we enjoy our beautiful nature with short summer and beautiful autumn. 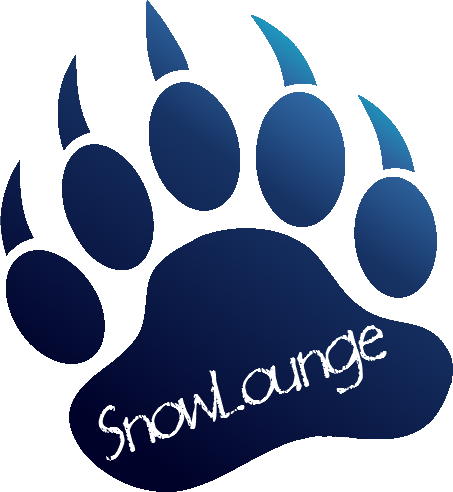 Book your own guide from SnowLounge and explorer with us the beauties of Lapland. 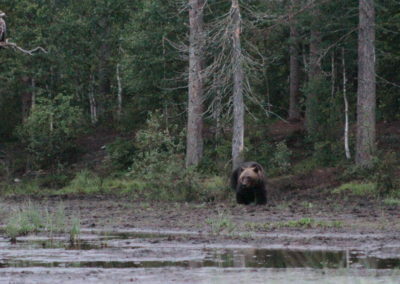 Our guide pick you up from your cabin or hotel at the Sallatunturi area and drive with you first to the Oulanka National Park. 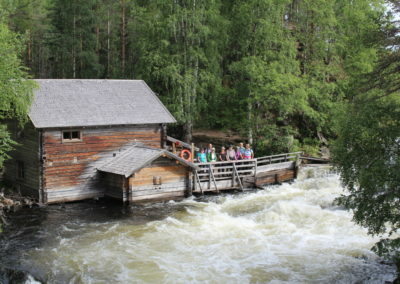 At the National Park we visit Myllykoski a old restaurated mill next to the small bear trail. After small hike (approx. 500m) we arrive at the old mill and spend a little time there. You can make photos end explorer the mill or one of the hanging bridges in the National Park. We continue our trip towards the brown bear about 45min drive. 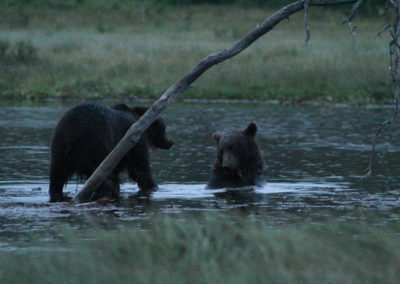 The observation point is a cozy hut and we wait there that the bears are coming. 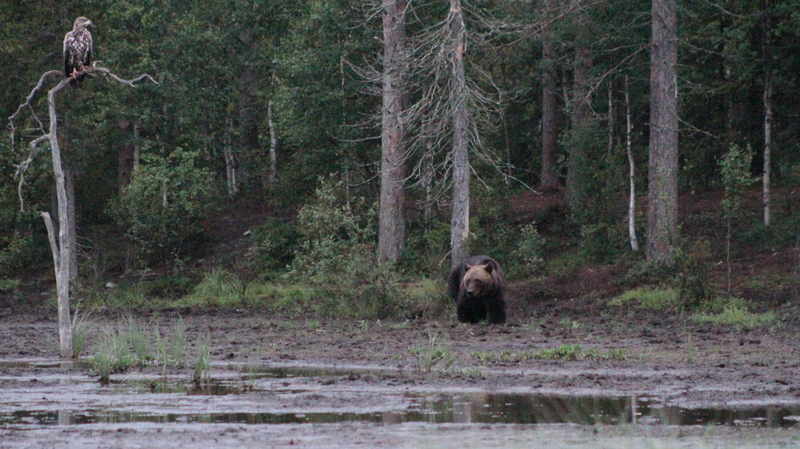 Once you have spotted one bear, the other bears are not far away and with good luck you can see more than 5-7 bears at once. Often you can also spot sea eagle. Its good if you take something to drink and eat with you while waiting. After 5 hrs of observation we drive back to Sallatunturi. Our guide pick you up from your cabin or hotel at the Sallatunturi area and drive with you to the starting point of the hike. After a short hike of 30 minutes up to the top of Sallatunturi we will arrive at the wilderness hut. At the hut we will lid up a fire and prepare our pancake baking. You can try to bake your own pancake over open fire! Enjoy your own pancake with local jam and a cup of black pott coffee. Our guide pick you up from your cabin or hotel at the Sallatunturi area and drive with you to the starting point of the hike (approx. 30 min drive). 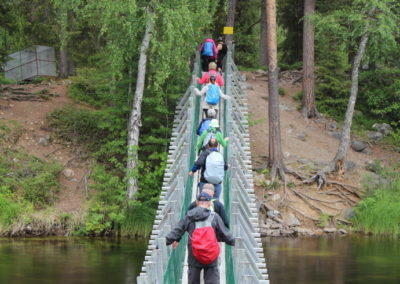 Together we hike along the hiking trail and your guide will tell you stories about the living and nature in Lapland. Our highlights at this trip is to see the Oulanka Canyon. 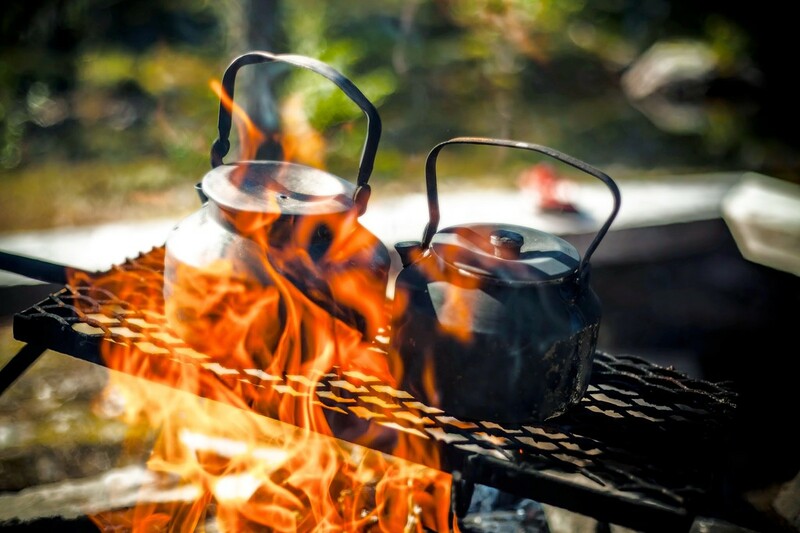 At the half of the trail we will stop for a break and have a snack on open fire and enjoy a cup of black pott coffee. Our guide pick you up from your cabin or hotel at the Sallatunturi area and drive with you to the starting point of the small bear Trail (1hr drive). 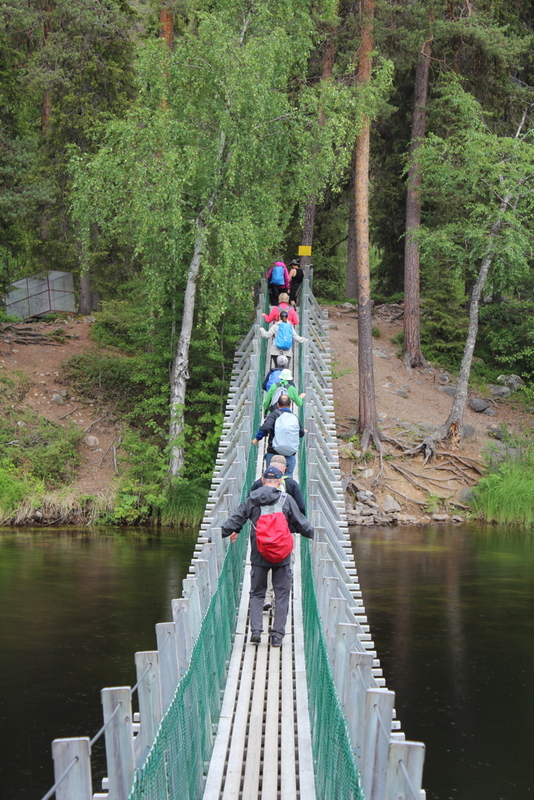 Together we hike along the trail and your guide will tell you stories about the living and nature in Lapland. 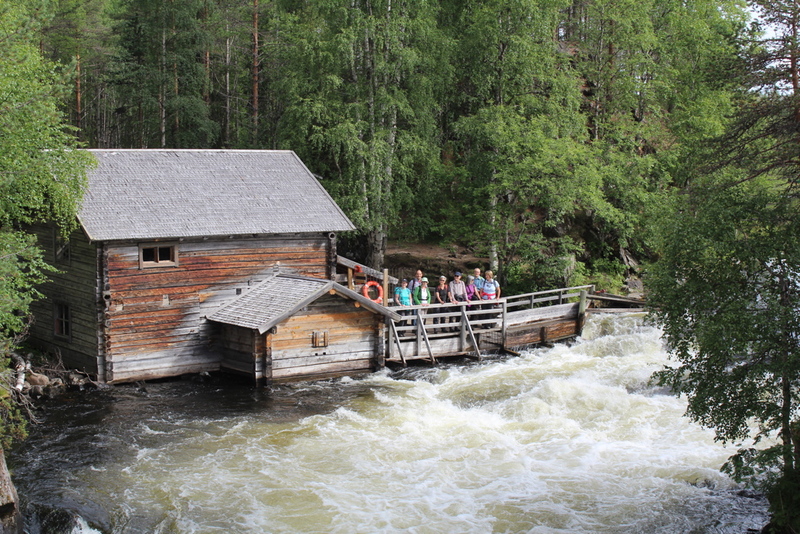 Our Highlights at this trip is Myllykoski a resaturated mill, severals hanging bridges and white water rapids and waterfall. At the half of the bear trail we will stop for a break and have a snack on open fire and enjoy a cup of black pott coffe. After the snack we continue our hike back to the car, on our way we can still see the Jyrävä waterfall and the most wild white water rapid in this area. Our guide pick you up from your cabin or hotel at the Sallatunturi area and drive with you to the starting point of the Ruuhitunturi hiking trail. 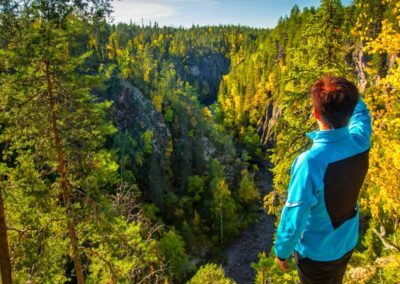 Together we hike to the top of Ruuhitunturi and your guide will tell you stories about the living and nature in Lapland. At the top of Ruuhitunturi you can have a view over Sallatunturi up to the Russian Border. In the meanwhile your guide will lid up a fire and prepare a snack over open fire. After the snack we hike slowly back to the starting point. All trips are with English or German speaking guide, transportation and VAT. Minimum 2 persons / maximum 6 persons. If you have a larger group or want a special trip, ask for an offer by email or phone. All our tours are private, it means we make them specially for you and do not mix with other guest. You are free to find your own travel mades and build up your own group max 6 persons. For example your room or cabin neighbor, friends, family and co and share the total costs. In the prices for the first 2 persons is the transfer an a part of the guide service included, if there are more than 2 persons you can share those cost with your travel mates.